Addiction and substance abuse is a problem for many people which affects all of us. 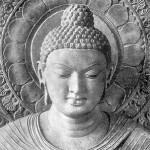 Buddhism offers a similar approach to the AA 12 step programs, using meditation and the dharma to lead people to recovery. Doors open at 7 pm Meeting starts at 7:30 pm — Using the booklet “9 Essays: Buddhism and the 12th Step Model of Recovery” made available to us by the generosity of the San Francisco Zen Center, this group will be exploring the connection between practice and recovery. Our mission is to bridge the Twelve Steps of AA and the four Noble Truths of Buddhism. The meeting will include a 20 minute silent meditation sit, a reading from the “9 Essays”, and an open discussion in the format of an AA meeting. We will be adhering to the AA traditions (which include anonymity and confidentiality). Creating a supportive community is an opportunity to strengthen our commitment to daily practice. This new, expanded edition includes a Foreword by Jon Kabat-Zinn, a guide to running an Eight Step Recovery meeting, and how to teach a Mindfulness Based Addiction Recovery (MBAR) programme, including teacher’s notes and handouts.